There is no shortage of wash ‘n’ go centres for cleaning your Scottie. But some places might turn yours into a round-faced Westie or a Corgi. 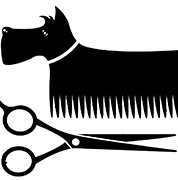 We will share with you places that we know or our members have told us groom your dogs tip-top.